End of season spring shred! My best result yet at Europa Cup – 17th place in Lenk, Switzerland with the aim to get regular top 16’s next year. My average number of points has also improved, which is now enough for World Cup so hopefully next season I can compete in 1 or 2. 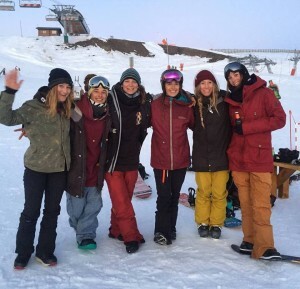 I had the opportunity to film for Lines’Up in the back country, park and street with an all girls crew in Avoriaz. The idea is to all get together and be creative with snowboarding and art. It was really nice to do something different and be with motivated girls as I was riding with boys for most of the winter. The edit will be out in the autumn so keep an eye out on my Facebook page. 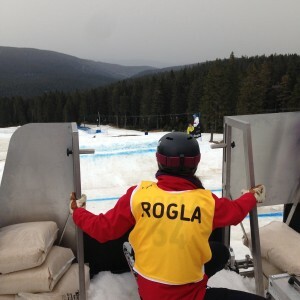 The Junior World Championships in Rogla, Slovenia was an awesome end to the SBX season bringing everyone together from all 4 corners of the world. Unfortunately, I didn’t qualify in the individual event but still enjoyed myself and was honoured to be there among the best under 20’s in the world. Team mate Anna and I also took part in the team event, which was a first for both of us. We really enjoyed this format and the spirit! I was in the first 4 man heat, which is a normal race close to others. Anna dropped second but her gate only opens when I cross the finish line. I felt less nervous going into it because Anna was in the start with me but there was also a bit of pressure to not let her down. I had a fast start and half way down the course tried to overtake the girl in first but caught an edge in the slush and fell.. Nonetheless it was a good race!! We also stopped by Lake Bled on our way back, which was nice because often when we travel, we don’t really see much of the surroundings, only where we’re staying. Slovenia – tick! 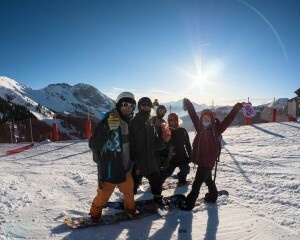 Last trip of the season was to Kaunertal in Austria for the Spring Break snowboard test. I didn’t take my board, which was strange. Instead, tested a total of 12 lovely new boards and reviewed them for the Snow Magazine. This was a cool experience for me learning about the business side to snowboarding and the different shape/design of different snowboards.